A Leading Multinational Company requires the following staff. 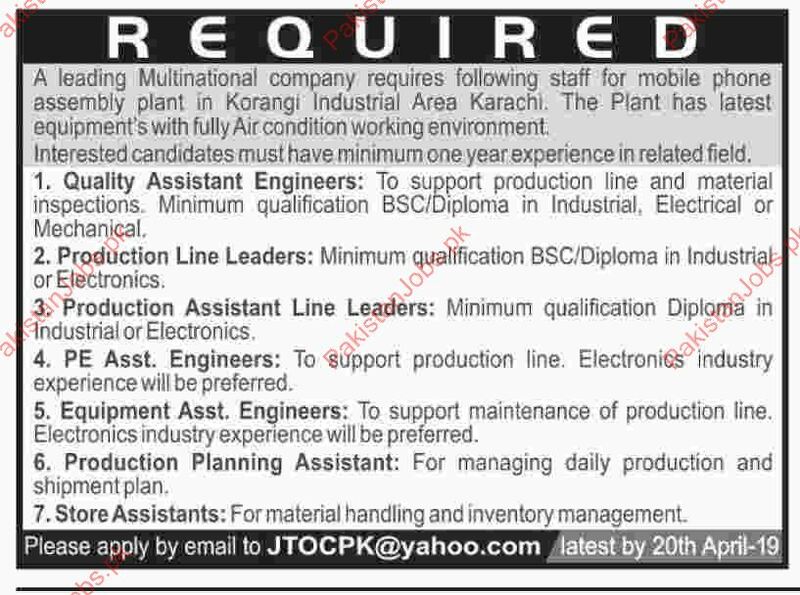 Quality Assistant Engineer, Production Line Leader, PE ASST. Engineer, Equipment Asst. Engineer, Production Planning Assistant, Store Assistant.